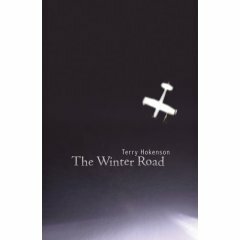 In the dead of Winter in northern Ontario, Willa takes her uncle's plan to pick up her mother at a remote settlement. The plane crashes in a remote area and Willa has to fight to survive the elements. The novel is booked as having lots of psychological elements (overcoming grief for a dead brother, problems at school, etc.) but these are fairly unrelated to the story, which is instead straightforward action-survival stuff. That's OK, but the problem I had was that Willa is pretty near perfect and always manages to do just the right things to survive. It strains credulity that someone without significant formal survival training could do the things she does. Beyond that, I just find the action formula a bit dull. As a character, Willa simply wasn't that interesting and I didn't really care if she survived or not.